This has been the most and greatest coverage we have seen since the Inauguration of President Trump when covering his promises and the possibility that he might falter. Every article has mentioned different choices predicting which promises the President Trump would renege upon. Many claimed he would never build the wall along the Mexican border. Some kind of cheated by claiming that he would merely use a fence or even cameras with computer monitoring for motion detection and alerting the Border Police instead of building a wall along the entire border. Some would claim that the terrain would prevent it being a wall along the entire border but these arguments were disingenuous as the wording of a “wall along the Mexico border” simply meant closing the border through the use of combined deterrents, walls, fences or monitoring through advances of technology in the most difficult terrain or least used crossing locations and simply closing the border using all means necessary and required. Others claimed he would be unable to deport all the illegal immigrants as promised. First off, that was not the promise. He promised to deport illegal immigrants with felony convictions and to work at finding an equitable solution in which deportation may be an integral part of the equation. The American Embassy could easily be moved to even the most western edge of Jerusalem and be as far as possible from any lands under dispute and still there would be whole hosts of people screaming that the United States is persecuting the Palestinian Arabs and determining to cheat them out of their homeland. This might at first glance appear as a ridiculous position to take as it could be so easily repudiated except that the Palestinian Arab claims include all of Jerusalem. 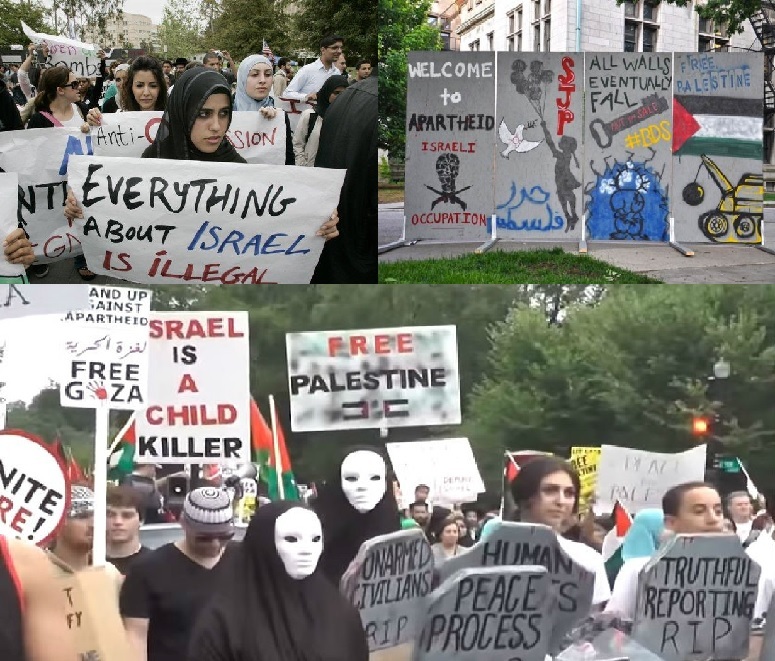 The reality is the United States has already made a statement that is determined to cheat the Palestinian Arabs out of their homeland by leaving their embassy in Tel Aviv as the Arab claim is to all of Israel just as the students chant in campuses across the United States, Europe and beyond, “From the river to the sea, Palestine must be free.” The Palestinian Arabs are actually the entire Arab world’s crowbar and will be their implement by which they continue to wage their war to destroy all of Israel. The truth is the existence of a United States Embassy is an affront to the Palestinian Arab claims to their “rightful” country which would be built on the ruins of the Jewish State as anything less would be an aberrance to their stated demands and eventual goals. This is part of why Mahmoud Abbas, and Yasser Arafat before him, refused even offers which granted them with over 90% of Judea and Samaria along with all of Gaza and east Jerusalem as their capital when offered in 1999, 2000 and in 2008. So, why should President Trump move the United States Embassy to Jerusalem according to us here at Beyond the Cusp? Well, we could use our favorite reason when trying to win an argument as kids with our parents when life got between us and a promise to go somewhere fun, “But you promised,” but we know that does not wash when things are on this level. First, it would send a message that there really has been a change in Washington D.C. and that the change will very likely be permanent for all intents and purposes. The world’s train is racing towards oblivion and nobody is manning the breaks. The old steam engine is racing with its speed balls spinning full out threatening to blow off their spinners. Everything about the old globe is screaming, whistles blowing and rivets near popping and the boiler exploding and the Deadman’s switch rig disabled and there is nobody in the cabin. Well, there was nobody in the cabin. This was the picture of the world not long ago and hopefully things will be saved before we hit a sharp curve and it all goes off the tracks. Brexit was step one and President Trump is step two but nobody knows how many steps it will require for sanity to rescue the world. Will the needful steps be taken or will the next cataclysm strike before the world regains sanity. What are the necessary steps that will bring the world back within the bounds, who can tell? The world has been slowly gaining reckless speed slowly slipping out of control and towards untold violence. There are those forces which would welcome the untold violence. They loudly proclaim their love for violence and the death it brings. They claim to worship death and that this allows them power over all who worship life. Their claim is that death conquers life. Those who love life claim that death is the rest one receives after a full, long and hopefully well spent life. These are opposing views which cannot be reconciliated, one must prevail. The good news is that President Trump is aware of the challenge though he has spoken only about it through allegory and indirect references. Moving the United States Embassy would be a strong message when it is announced as a definitive and executable policy decision. Perhaps that is the future for the moving of the United States Embassy, a declaration that the United States and life will declare over death and those who believe it is primacy. Yes, perhaps the moving of the Embassy will be a greater declaration than what the debaters believe it will be. Perhaps there is a grander plan than we are aware, perhaps the plan is greater than men and from beyond our understanding. This may be a greater issue than a mere embassy and the city in which it sits. Jerusalem had been more than a city and perhaps this is more than a simple embassy. Lastly, if the reason not to move the embassy to Jerusalem is because it reportedly will inflame Muslim passions moving them to further animosity and in turn greater acts of violence, then there is no reason not to move the embassy as from all observations of the Middle East, especially Syria, Iraq, Turkey, Libya and both Sudan and South Sudan as well as the levels of terrorism in Europe, more so Western Europe and also in the United States, though there it has been reported as anything but terror, especially Islamic driven terror, the levels could not conceivably be any higher. Violence, thy name is Islam, has become a truism of our times and thus simply move the embassy as there is no possible additional levels other than war, and that will happen whether the embassy is moved or not. 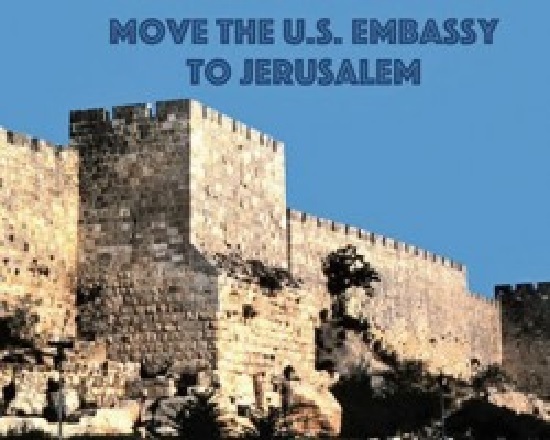 If we had our way and the United States had not already purchased the land, then we would call for the embassy not only to be moved to Jerusalem but to the Jewish sector of the Old City as well. After all, did not Trump promise that his Presidency would be a brave and bold rebeginning for America and her relations with her friends? Well then, let’s get it off on the right foot.